More and more Singaporeans are using WhatsApp as a main messaging platform to communicate. As of Q4 2016, 67% of Singaporeans use WhatsApp and this is only slightly behind Youtube (75%) and Facebook (72%). Singaporeans are not just using WhatsApp for personal conversations but also increasingly, for business conversations. Inevitable question – can WhatsApp be used as evidence in court? With the rise of WhatsApp as a dominant messaging platform in our everyday lives, many people are starting to ask if WhatsApp messages can be used in court. In divorce cases, WhatsApp messages are increasingly being used as Court evidence to persuade the Court. Spouses sometimes try to tender WhatsApp messages to strengthen their case against the other party. A classic example would be a husband’s WhatsApp messages to his mistress. Another possible scenario is a wife showing WhatsApp messages from her child, where the child complains that the husband is abusive. In commercial cases, WhatsApp messages are sometimes used as evidence to show negotiations or contract formation. For example, Freddy and Martha could be buying and selling goods by agreeing to the price, delivery date and nature of the goods through a WhatsApp message. Some smaller enterprises may also use such methods to form contracts. Yet, this is still considered as uncommon, as most respectable businesses would still prefer to have a proper written contract, invoice or quotation for sales transactions. In the face of the trend of communications becoming digital, courts all over the world are adapting and becoming more open to accepting electronic communications such as text messages, Skype messages, intranet chats and yes, WhatsApp messages, as evidence. Electronic communications are commonly admitted as evidence in American courts nowadays, but is it the same for Singapore? WhatsApp messages can be used in court as evidence but it must fulfill certain conditions and be properly presented for it to be valid and to be considered. Electronic evidence still needs to pass all the requirements of evidence to be used in court. The primary challenge in admitting these messages into court is the possibility and risk that the messages were tampered with. #1 Admissibility – Is the Court even going to allow the evidence to be tendered before it? The Court can consider a piece of evidence inadmissible if it falls under certain forbidden categories. “Inadmissible” means that even if it is placed before the Court, the Court will put it aside and it cannot be used to assess the case at all. E.g. 1 – Husband has a WhatsApp message with Tom (his friend). In the WhatsApp message, Tom said that he visited Hotel X and overheard the hotel staff saying that Tom’s wife and her boyfriend were in Room 123. The WhatsApp message is only admissible in that Husband and Tom did exchange messages of this nature. But it is inadmissible to show that Wife and Boyfriend were actually in Room 123. The hotel staff must be called to give evidence of what he actually said. E.g. 2 – Company A is suing Company B for copying and misusing their patent documents. Mary and Lucy are working in Company B. Company A somehow got WhatsApp messages between Mary and Lucy discussing the patent documents. Mary and Lucy must come to Court to prove that they indeed typed the WhatsApp messages. There are exceptions that allow purported hearsay to be admissible which are covered in the Evidence Act sections 32 to 40. #2 Authenticity – How to prove that the WhatsApp message is genuine and not fabricated? Proving authenticity is perhaps the most challenging aspect of submitting WhatsApp messages as evidence in court. You must show that the other party really did write that message and sent it, that the sender intended to send it and that the message phone has not been tampered with. As an illustration, a screenshot or photograph of a screen is harder to prove is authentic than if the original text is retrieved directly from WhatsApp servers, which is unlikely that WhatsApp will agree to. One of the common arguments against authenticity is the “chain of custody”. A Party may challenge the WhatsApp message if it has passed through many hands. E.g. 1 – The WhatsApp message to be admitted as evidence went through (i) the Plaintiff who passed it to (ii) his friend Jerry who later (iii) copied out the WhatsApp messages into Microsoft Word and then (iv) passed the handphone to forensic specialists to extract the WhatsApp message. In this example, the Defendant could challenge that the WhatsApp message could be tampered by Jerry before it reached the forensic specialists. The Plaintiff has to show that WhatsApp only allows one to add new messages, but not amend messages which were already sent out. How can you authenticate WhatsApp messages? Using eyewitnesses to authenticate the text (i.e. the witness has to testify that they saw the very same WhatsApp message in the phone). If you are extracting WhatsApp messages from the handphone directly, this can be done through phone forensic experts. The forensics can write a report verifying that they had professionally and accurately extracted the WhatsApp messages. E.g. 1 – A husband wants to produce WhatsApp message extracts showing that his wife went with her boyfriend to a hotel. This is relevant for divorce proceedings. But, it is not relevant if the husband is claiming that Wife owes him money under a private loan between them, and not claiming for divorce. E.g. 2 – Seller claims in Court that the buyer did not pay the agreed amount of $5,000 after the seller sold him a specially built laptop. The seller wants to produce a WhatsApp message showing that both the seller and buyer agreed to meet at bus stop A on 1 June 2015 to hand over the laptop. While this alone does not prove that the buyer refused to pay, it is relevant as to whether the laptop was delivered to the buyer, which is a fact in issue. Thus, the WhatsApp message is relevant. After the Court determines that the evidence is relevant, it then has to determine how much weight to accord to it (i.e. how strong is this evidence in proving each parties’ point). These requirements apply to other types of electronic evidence as well such as email, SMS, LINE, WeChat and other messaging platforms. Each platform has a varying degree of anti-tampering technical capabilities. Generally, the more secure the platform, the more likely it can be successfully proven as being authentic. Also, it is a lot more convenient to extract SMS and email records compared to other messaging platforms. Emails have already been recognised as mainstream evidence in many cases. What are the defenses an opposing party can bring up if you submit WhatsApp messages as evidence against them? Tampering of WhatsApp messages without forensic specialist’s report. The actual defenses have been elaborated upon above, but do consult a lawyer as the actual nature, wording and circumstances surrounding how you obtained the WhatsApp messages would need to be analysed. If you need legal advice on submitting electronic evidences, you may get a Quick Consult with Wei Chin or other lawyers for a transparent, flat fee of S$49 and expect a call back within 1-2 days to get your questions answered. 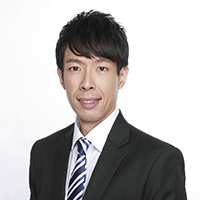 This article is written by Che Wei Chin from Covenant Chambers LLC and edited by Gabriel The from Asia Law Network.